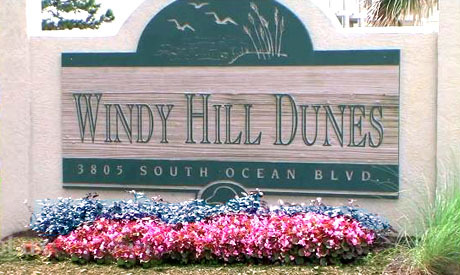 The beautiful Windy Hill Dunes condos are a favorite with vacationers, but because they are a bit more private, offer a bit more luxury, and have so many upgrades, they are truly made for the discerning owner who wants the best! 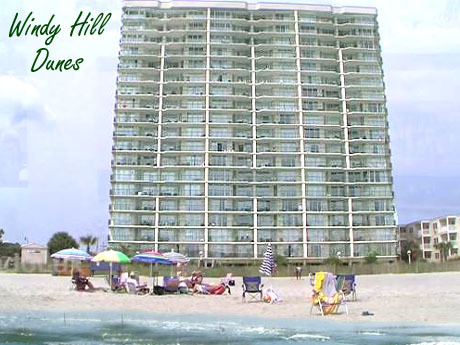 The Windy Hill section of North Myrtle is on the far south end of the beach, and closest to Barefoot Landing, the golf courses at Barefoot Resort, and two of the most popular restaurants around - Olive Garden and Joe's Bar & Grill. A new BiLo shopping center brings even more restaurants, a huge grocery store, and even a spa for your dog to enjoy! The beach and homes are on the highest elevation in North Myrtle and protects against most flooding and storm damage as well. 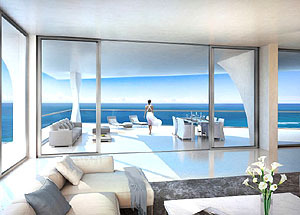 Windy Hill has more of a residential feel to it, and makes for a more private atmosphere. The condos at Windy Hill Dunes are more spacious than most, with private balconies and a covered walkway bridge over the Boulevard to the parking deck across the street. This resort is one of the most popular ones in North Myrtle Beach, and a "must-see" in your condo search. 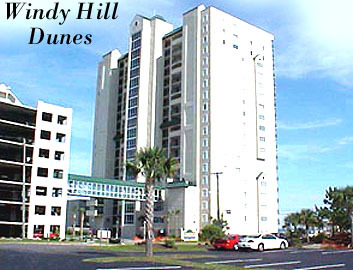 Call us to see the available units for sale at Windy Hill Dunes. .